Degenerative disc disease of the lumbar spine is one of the most common causes that is associated with lower back pain. 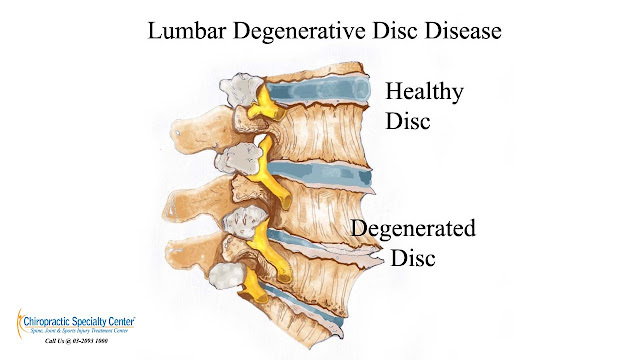 It has been shown that the degeneration and deterioration of the lumbar disc can lead to a symptomatic lower back condition. A progressive degenerative disc disease can result in acute or chronic back pain with an associated clinical instability of the spinal segments. 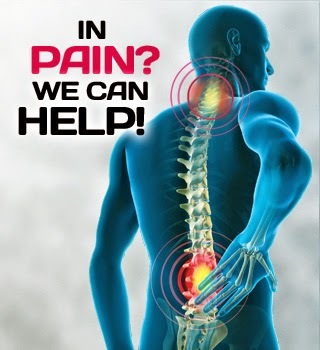 This can lead to abnormal spinal segmental movement, misalignment of the spinal joints, spinal stenosis. The basis of initial evaluation involves plain radiographs (X-rays) of the lumbar spine. Reduced disc height and narrowing of the facet joints are very common findings on the X-rays in degenerative disc disease and osteoarthritis of the spine. Osteophytes and sclerosis of the upper and lower endplates are frequent radiographic findings for degeneration. Narrowing of the lateral recesses and the spinal canal can be visible on CT or MRI of the spine. Radial or concentric tears, cystic spaces and disruption of the annulus fibrosus can be identified with MRI which is showing better resolution for soft tissues. Instability of the spine results in a lack of normal spinal segmental displacement pattern under physiologic loads. Hence, there is an increased risk of neurological deficits, incapacitating spinal deformity and pain. Stabilization phase following calcification of ligaments. During the early phases of degenerative disc disease, there is an increased microscopical structural deterioration resulting in an increased functional impairment. Visit the best Chiropractic center in Kuala Lumpur, Malaysia today. For more information about oour centers and treatments, please contact us at 03-2093 1000.